Saturday January 17th from 1-3 p.m.
and pick up an autographed CD or two or three! 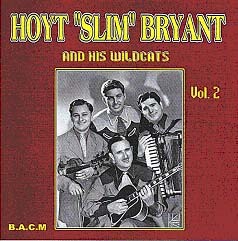 Due to the tremendous loyalty of his fans in the Pittsburgh area, The British Archive of Country Music has released Hoyt "Slim" Bryant and His Wildcats Vol. 2. And limited copies of a third volume of Slim's music, set for release later in 2009, will be made available months early, exclusively to his hometown fans and friends! 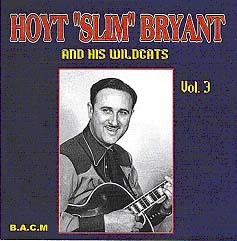 Hoyt "Slim" Bryant and His Wildcats Vol. 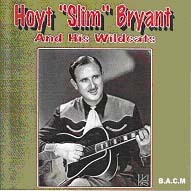 3 contains one of Slim's most-requested songs, "Eeny Meeny Dixie Deeny". Slim celebrated his 100th birthday in December. Although he was a fixture on local radio and TV throughout the 1940's and 50's, his music has been largely unavailable on CD until these three releases. Come out and wish Slim a belated 100th and take home a little piece of Country music history.